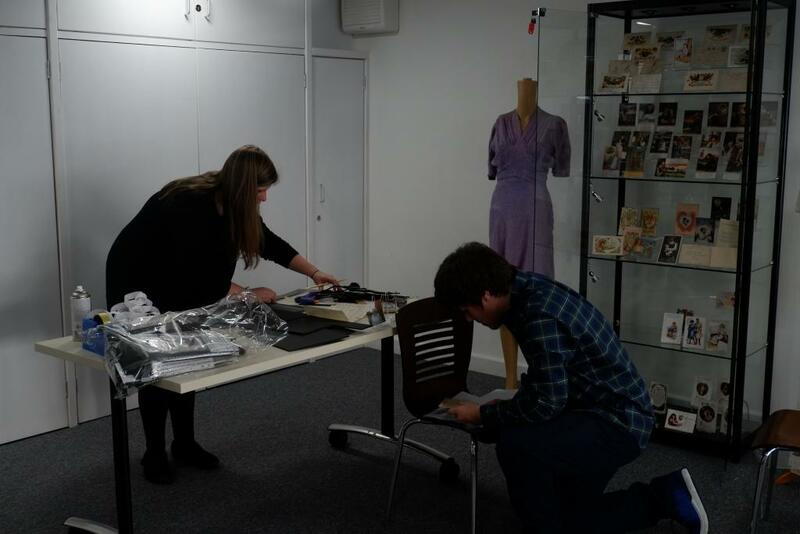 On Sunday, two of our young volunteers helped to install the new exhibition ‘Love in Wartime’. 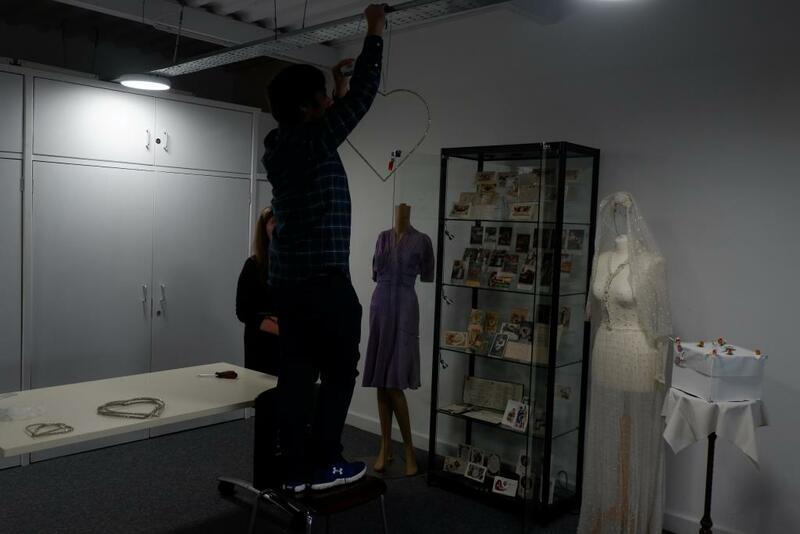 They dressed mannequins with vintage wedding dresses, put up decorations, created display stands from foamboard, put up banners and recorded the objects on display in our object location file. 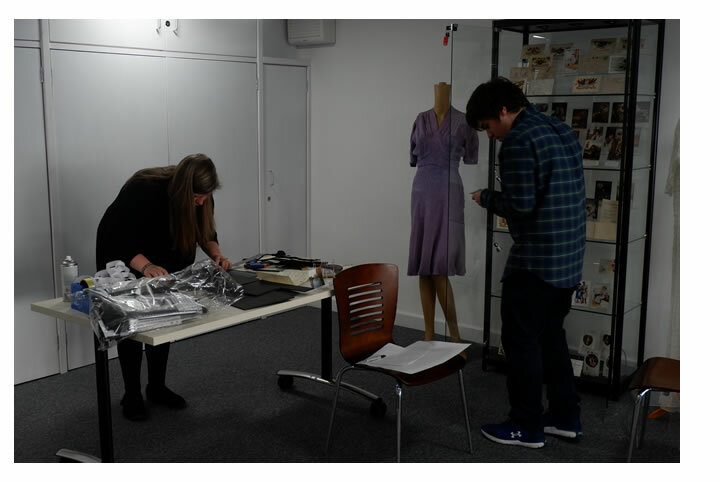 They were really helpful and seemed to enjoy learning the behind the scenes Museum business! 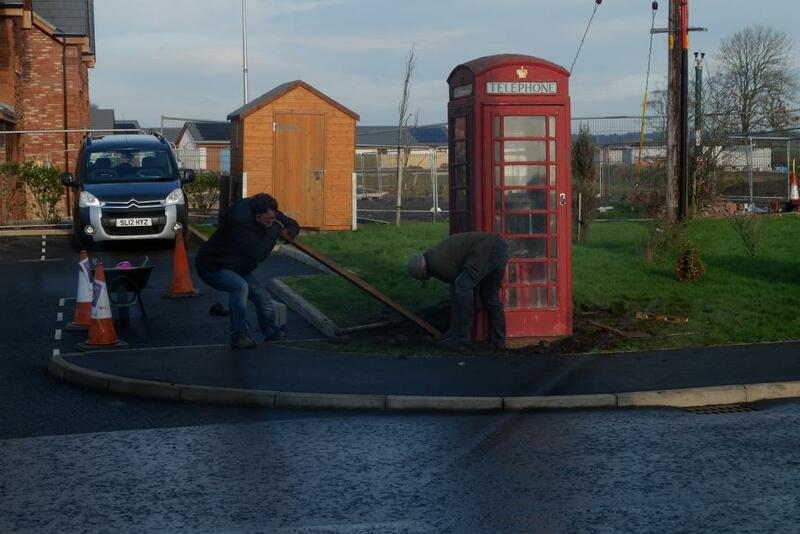 Here are some photos of Alex and Russell helping out. Work was also going outside the Museum. 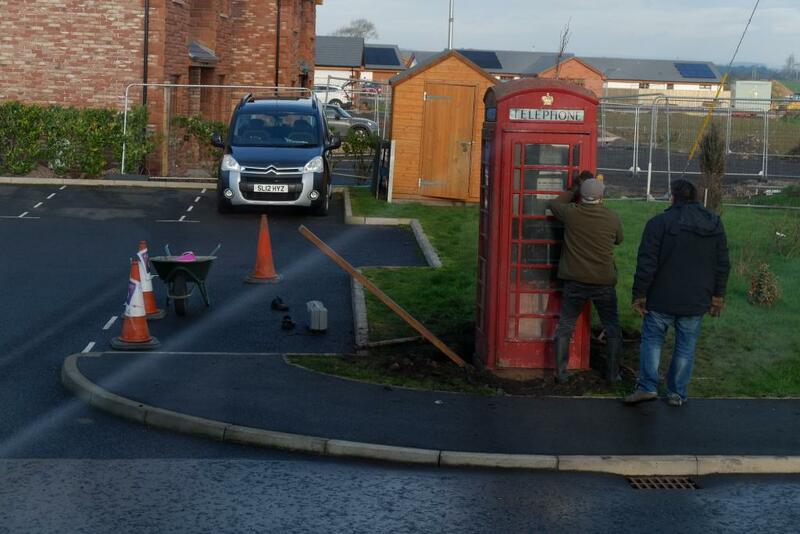 Tony and Richard worked on the telephone box outside of the Museum. It has been there for a little while now and is getting some TLC to make it level, then it will be painted and fixed up (we are waiting on better weather to do this). 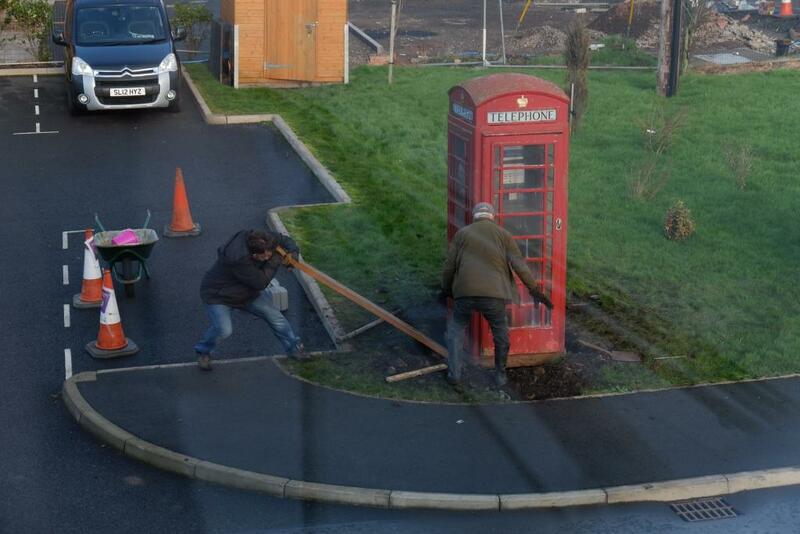 Here they are hard at work.